Many of my freelance writer friends tell me they have difficulty coming up with multiple story angles about one place. And on press trips, I’ve noticed that so many travel writers arrive with only one assignment in hand. No matter how many things they see on the press trip - and they see a lot - they usually only publish one article afterwards. This breaks my heart. So many opportunities to get published are being overlooked! I think it’s important to sell multiple story angles about a place and I always do it. As a freelance writer your time is your currency. 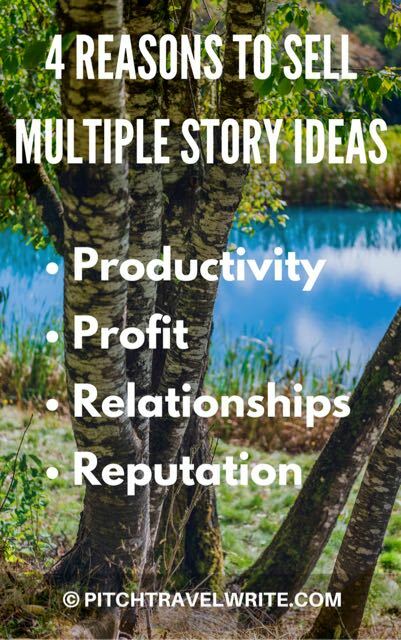 Anytime you can get multiple stories from one place or topic, you save yourself a lot of time. Think about it. You research the destination only once. You make one trip and get published multiple times. That's productive! This brings up the second reason – profit. If you’re getting multiple articles published you’re getting paid for each article, not just one article. I have to assume if you're reading this, you want to make some money as a freelance travel writer. The standard travel writer’s attitude of publishing only one story about a destination is grossly inefficient and definitely outdated. Maybe it worked way back when magazines were paying top dollar. And it worked when a writer was a full-time employee of a magazine and only had to produce one story because he was getting a regular paycheck. But it doesn’t work for freelancers. I can’t think of any reason a freelance travel writer would only pursue one story about a place. It makes no sense to limit yourself and your income potential. The reality is travel writers today aren't paid much for travel stories. Most press trips last three to five days. Those press days are precious time away from your desk where you can be earning money in some other way. Do the math: You're away several days on a press trip, it takes time to sell your story and it takes you another day or two to write the story. If you get paid for only writing one story, you’re probably only earning minimum wage, at best. More likely you're losing money. If this is just a hobby, then it’s not a problem for you. But if you want to earn money, writing one travel story is seldom profitable. Selling multiple story angles about a destination makes it far more profitable and worthwhile. 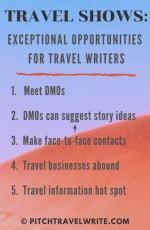 The third reason to sell multiple story angles about your destination is to build solid relationships with your host Destination Marketing Organizations (DMOs). The DMO media reps are thrilled when you produce multiple articles. They view you as a more productive resource for their region because you reached more than one audience. It builds a solid relationship and pleases your hosts. You feel good that you delivered on your promises and made them happy, too. And, most importantly, they're likely to invite you back again. Finally, when you pre-sell multiple story angles about your destination, you are more likely to be hosted with better complimentary travel assistance in the future. Notice I used the word "pre-sell" in the previous sentence. This is important. My strategy is to presell articles before I travel. When you have a list of confirmed assignments before you take the trip, your hosts will ensure that you see and do all the things you need to deliver on those assignments. It makes the trip very productive and pleasurable. The minute I walked into the cavernous museum I got a warm and fuzzy feeling. I stood stock-still, jaws wide open. Gazing in awe at the huge collection of beautifully restored antique aircraft and rows of gleaming automobiles, I knew I would sell multiple stories about this place. Within a year I had a piece about the museum’s restored 1917 Curtiss-Jenny airplane published in Aviation History magazine. 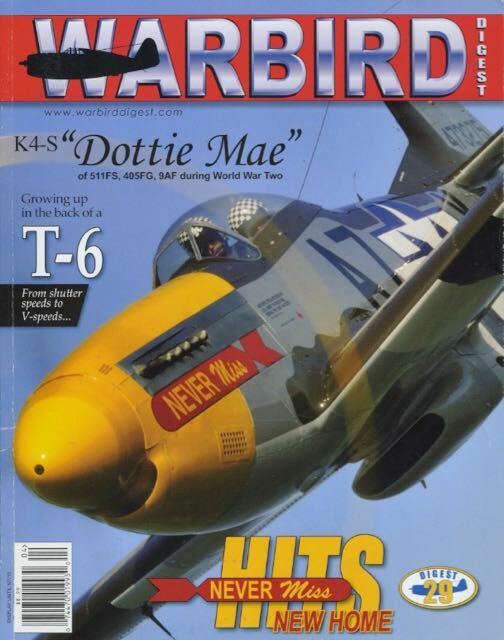 Another piece about the museum’s vintage aircraft collection was published in Warbird Digest magazine. 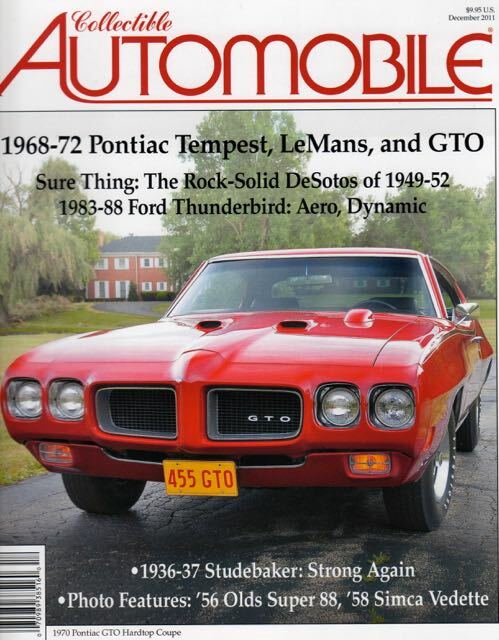 I also sold a feature about the museum’s automobiles to a classic car magazine. Then I sold a write-up about the museum to Gorge Guide magazine. 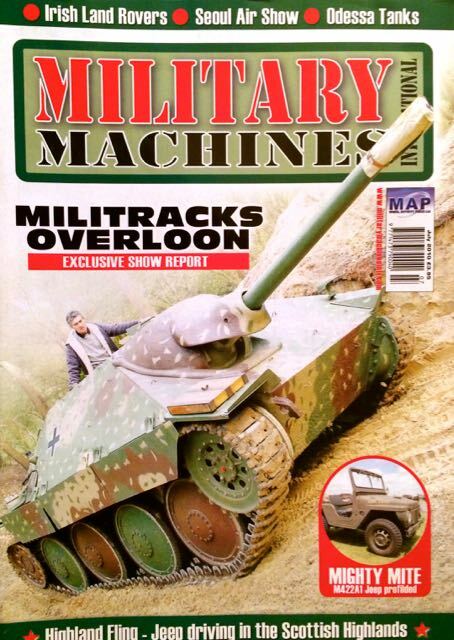 A UK magazine, Military Machines International, wanted a story about the museum’s military jeeps. 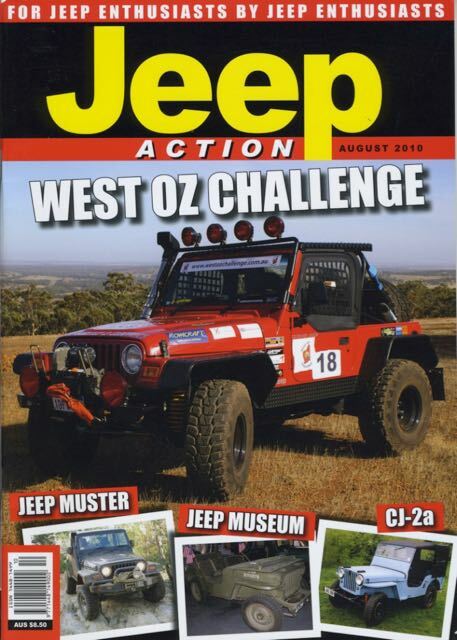 Then I re-sold the same piece to an Australian magazine called Jeep Action. That’s six stories, all different genres, and a nice bundle of ca$h from one museum. Not a bad haul for a 4-hour museum visit! A couple years ago I was on assignment in Bali, doing an article about luxury resorts and spas on the island. Each resort we visited was different, which really made the article interesting. Most of the resorts served a mainstream audience, but this resort definitely didn't fit this audience. Fivelements was known as a "healing retreat" and it’s not for everyone. 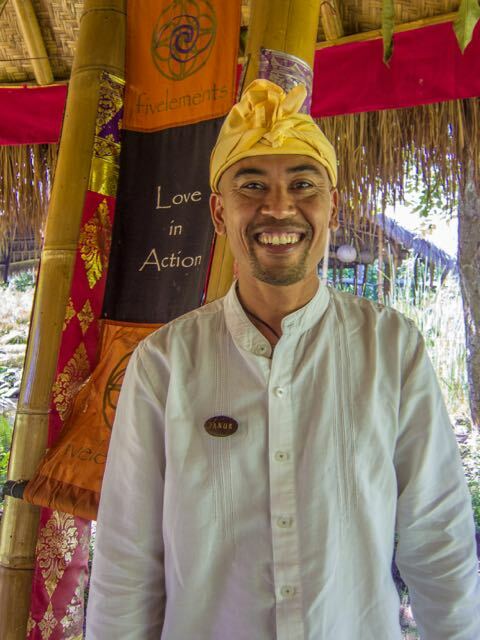 This is Janur, our mentor at Fivelements in Bali, Indonesia. 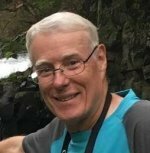 He helped us plan our healing treatments at the spa and checked in with us each step of the way to align our experiences with our life. Fivelements served exquisitely prepared raw, vegetarian food. No meat. No alcohol, either. When we checked in, we were assigned mentors to guide us through our healing journey. This was not your typical resort! And it created a problem for the confirmed assignment I had. It just didn't fit. So while we enjoyed the spa and unique healing treatments, my mind was spinning about who would be interested in an article about this place. When I got home I had to figure out where to place an article about Fivelements. With a little research, and thinking about multiple story ideas for this single resort, I sold three articles. One story angle was for a lifestyle magazine. It focused on the luxury and spa aspects. I sold a different story idea to a vegetarian health & fitness magazine focusing on the exquisite raw food served in their restaurant. And finally, I sold a story to a metaphysical magazine focused on the spiritual healing treatments we received. These two success stories aren’t flukes. I sell multiple stories about my destinations like this all the time. It maximizes my time and profits, makes the DMOs happy and makes me look good. • A schooner rendezvous in the Pacific Northwest resulted in selling three slightly different articles to three yachting magazines. Because there were several interesting yachts at the event, I collected the history of each of the yachts and split them into three different groups. Then I wrote three separate articles about each group. I was able to sell similar articles to competing magazines because the articles were all different. • I wrote a series of articles about yachting marinas in the Northwest to a local yachting magazine. A couple of years later I sold edited versions of these articles to a yachting magazine in the Canadian market. 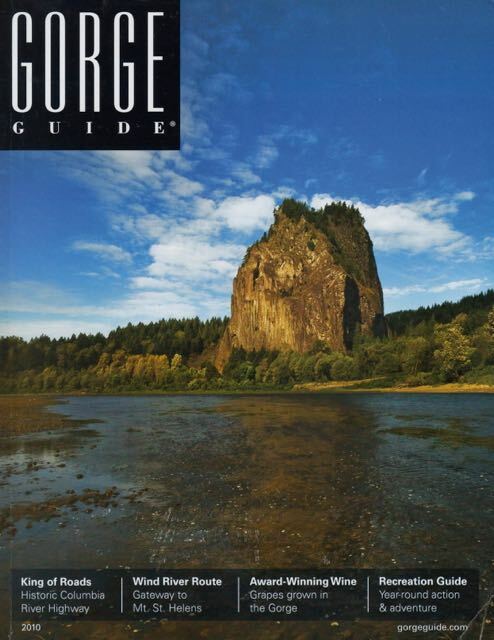 • A motorcycle tour in the Columbia Gorge sold to a local travel and lifestyle magazine, then again to a national motorcycle magazine. • Stories about the U.S. Army Transport Museum in Fort Eustis, VA sold to several markets. 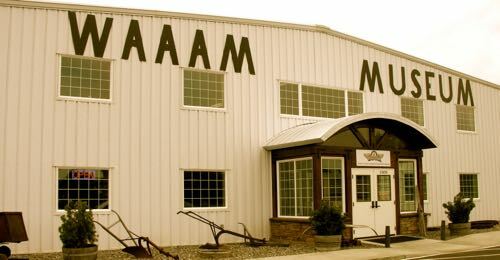 I got that same warm, fuzzy feeling when I walked into the museum, as I did with the WAAAM. 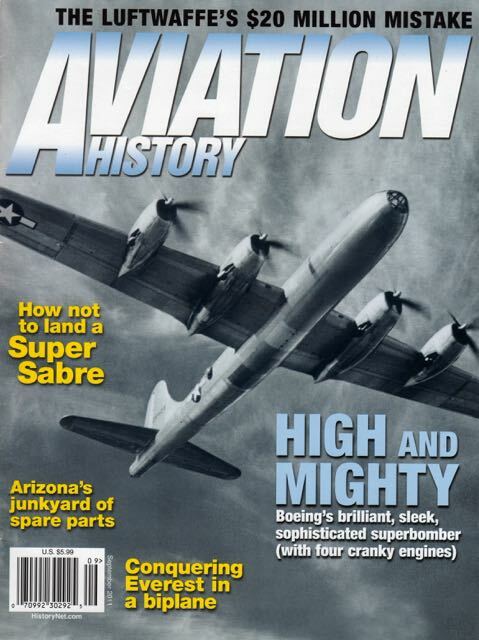 I sold an article about the vehicles to one military magazine, a story about two special machines to a UK magazine, a story about its flying jeep to Smithsonian Air & Space magazine, and a story about one if its unusual military flying vehicles to Aviation History. Story Angles about a Destination? One of the keys to producing multiple story angles about one place is to write in a number of genres. That way, when you find a place that is suitable for several genres, it pops out at you. For example, the WAAAM article I mentioned earlier was sold to a general travel magazine, two aviation magazines, two military vehicle magazines and a car magazine. That's four different genres for one museum! When you write in several genres it becomes a lot easier to extract numerous stories from one place. You develop a “sense” for the potential of every place you visit. Find multiple story angles about one place and write different articles for each idea. Sell (and re-sell) one story about the place to multiple markets, or genres. Does this place offer potential for several story angles? Can you re-sell the same story to different magazine genres, with a little tweaking? How many magazines can you think of that might go for this story? Obviously not every place you visit has the potential to yield multiple story angles. But I’m willing to bet that most do – with a little creative thinking and research. Ambitious travel writers work on developing their “multiple story angle” sense. After a while it becomes second nature. This practice inevitably leads to multiple stories and a bigger income from each place you visit. I can't think of any reason that you wouldn't want to do this. Can you? 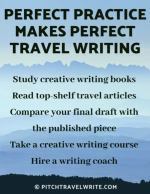 Do you want to learn about travel writing sales and marketing techniques that work? 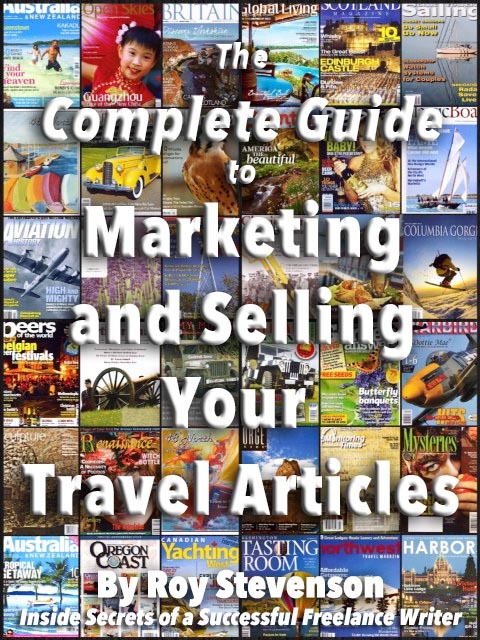 This manual has every tool and technique that I use to pitch and sell - and then resell - my travel stories. I hold nothing back. Reading this manual is like looking inside my marketing brain.